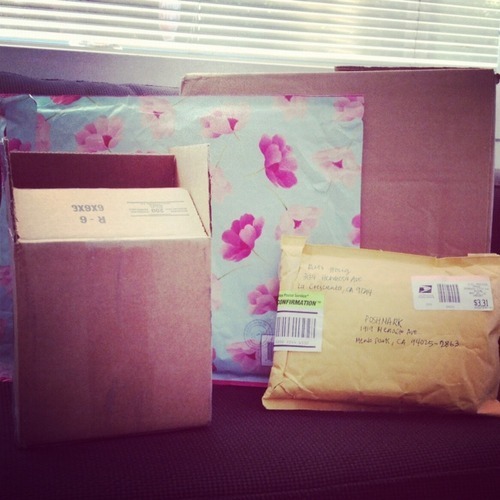 Posh Tip: Shipping Your Poshmark Sales! 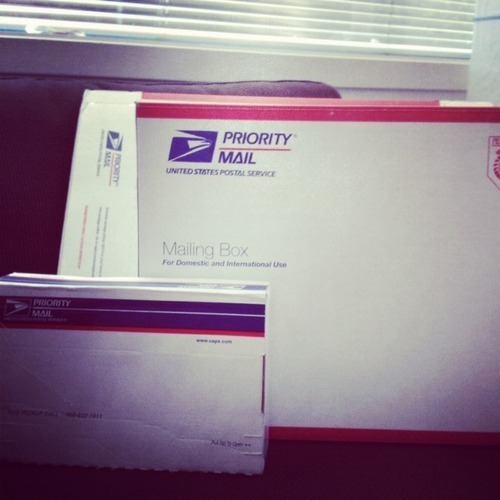 June 12, 2012 August 21, 2014 Categories Community, Posh Tipsboxes, fashion, how to, iphone, Posh Tip, sales, sellers, shipping, shopping, USPS79 Comments on Posh Tip: Shipping Your Poshmark Sales! Yay you made a sale on Poshmark! Now what? Without further adieu, here’s a post with some helpful tips on packaging, shipping boxes, and how to prep your shipment before it goes out to the excited recipient! Posh Tip #1: Make sure you’re using the correct box! Boxes labeled “Priority” at the post office are free (woop woop!) and a great option if you don’t have packaging materials at home. They come in a variety of sizes, so it’s easy to find the one that fits your recently-sold Rebecca Minkoff bag or lace cocktail dress. Don’t have time to drop by the post office to pick them up? Don’t fret! You can request for them online and have them dropped off at home! Also, a standard brown box (like the one pictured below) that you have lying around your house could work too. Just make sure that it’s the appropriate size for what you’re shipping out and ensure the label is clearly affixed to the box. Boxes that cannot be used are labeled “Priority Flat Rate,” “Regional Rate,” and “Express Mail.” Be careful when you’re picking these boxes up at USPS or ordering them online because they look very similar to the “Priority Mail” boxes that you can use. An example of a “Priority Flat Rate” box (that can’t be used!) is below. Posh Tip #2: It’s all in the details! We all love getting pretty little things sent to us in the mail, so why not add a special touch to your sale to make your buyer just that much happier with their purchase from you. 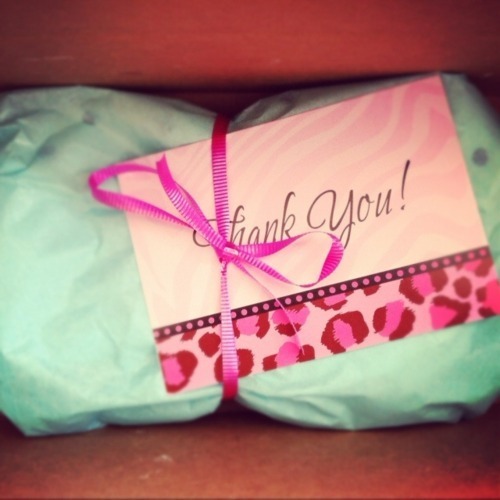 Wrap your item in cute tissue paper and include a note to thank your buyer. Check out our blog post for tips on packaging. Your package is neatly put together and ready for delivery…now what?! If your parcel is small enough, you may slip it in the nearest blue USPS mail box. For packages that are too large to fit, you can either drop it off at the post office or schedule for a pick up via USPS’ site. Easy breezy. Lastly, if you want to track your item to see where it is on it’s journey after you’ve shipped it out, make note of the USPS tracking number on the label that was originally emailed to you by Poshmark and plug it in here. We hope that all these tips have helped you along in getting your Poshmark sales packaged and out the door. Cheers to many sales ahead and, as always, Happy Poshmarking! I need the label to ship item! Hi Alison! The label should have been sent to your email address. If you’re having issues, please contact support@poshmark.com and someone can help you. Hi Corey, the label is included in the purchase confirmation email. If you need more help, contact support@poshmark.com. Hello, I need the label so that I can ship my item. I sent you a message on Friday and still have not gotten the label nor a response back yet. Hi LaToya, your shipping label should be attached to the email telling you that your item was sold. Please check the email account – and spam folder, just in case! – of the address associated with your Poshmark account. Thanks! Hi Diya, your shipping label should be attached to the email telling you that your item was sold. Please check the email account – and spam folder, just in case! – of the address associated with your Poshmark account. Hi. When you send the label via email and it is dated, how long do I have to get it to the post office? For example, I was emailed my label Saturday night but can’t get to the post office until Monday. Do I need to request a new label for the date I actually take it to the post office? Kerry, you should be able to use the same label. If you need further help, email support@poshmark.com. The post office wants to charge extra on top of the mailing label provided for a priority mail box versus bag. I am trying to ship shoes. Hi Morgan, please reach out to support@poshmark.com and they can assist you. What do you do if you have no printer to print the label???? Hi Janet, you’ll need to access a printer in order to affix the label to your package. Hi Mel, we recommend using a printer at a Kinkos or other printing service or your local library. How many days do I have to mail an item? The post office where I live told me that the shipping label date needs to match the day I am shipping or else it’s fraud??!!! I noticed however; that the date on the label reflects the customers purchase date. Please help! Hi Bre, please reach out to support@poshmark.com so someone can look into it and help you directly. How do I waive the shipping fee on 1 of my purchases? Hi Joan, the flat rate shipping fees are managed by Poshmark and therefore unable to be adjusted by sellers. If you wanted to offer your customers a deal, you could give them $5 their purchase to make up for shipping. After printing out the label on computer paper where and how do i put it on the package? Hi Kimberly, Cut it and affix it to the box with packing tape across the label. I accidentally ship the wrong item to the buyers. I had two orders on the same day and I used the wrong shipping label on each items. Hi GB, please contact support@poshmark.com and someone can assist you. hi! How do I know if I need to upgrade a shipping label (bc I am shipping a pair of boots) because I think that they weigh more than 5 lbs. The item has been purchased already with the reg priced label. Please HELP! How do I take stuff on my like page?? Please help and Thank You. Just joined Posh yesterday. Hi Arlene, to like or unlike items, you go to the listing and click the like/heart icon. Welcome to Poshmark! Hi Kim, the label is attached to the sold confirmation email. If you didn’t receive that email, check your spam and please reach out to support@poshmark.com and they can assist you. I have never recieved a Sold Confirmation email from Poshmark which is why I don’t think I can find the shipping lable. Where would that email have gone and who would it have been from? I have put “Poshmark” into my search engin and it is not bringing up anything in any of my email boxes? The table for extra shipping only goes up to 10lbs. What if my box weighs more than 10lbs. I’m shipping multiple shoes (8 pair). Do I have to break down the bundle into multiple bundles? Hi shopwithbeth, Please write into support@poshmark.com where someone can help you directly. Thanks! I just sold a bundle, can I use the same label for 2 pkgs sold as 1 bundle? Hi Shonda, when you sold a bundle (a single listing representing multiple items) to one recipient, you should only have one shipping label for one package that would contain the multiple items. For further help, email support@poshmark.com. Hi Ella, just print on paper and secure with packing tape. Stephanie, please reach out to support@poshmark.com for direct assistance. A buyer bought 2 of my listings, how can I just ship them together? I now have 2 shipping labels or do I have send them separately? Hi Vicki, please reach out to support@poshmark.com and they can help you directly. Thanks! Is it possible postmark can send me a next day express shipping label? Hi Monique, we currently offer a standard 2-day priority mail shipping label. For more questions, please contact support@poshmark.com. I need to mail a short pair of boots. The box is slightly widder than a regular shoebox. What are the max dimensions for box allowed for shipping label? Hi Michele, As long as you’ve used the USPS Priority Mail shipping label provided by Poshmark, it can be delivered to any US address that the USPS would deliver to. This includes P.O. boxes. Thank you! For the clarity! I am trying to send a small cloth taggie that weighs only .8th of a pound. Your standard label is 5 pounds or under. It would take me $25 to send this item to CA when I only made $7. It’s there another label for tiny items so shipping wo t cost more then the item? Hi Dana, shipping costs are paid by the buyer and prepaid Priority Mail labels are sent in the sale confirmation email. Feel free to reach out to support@poshmark.com for more questions about shipping and weight. I just sold a bundle that is large in volume and requires two boxes. Can I purchase the second shipping label thru you? I need an additional label for a 3 lb box. Can You help? Hi Lori, please see about upgrading the shipping label here: https://poshmark.com/posh_guide/how_to_get_overweight_shipping_label. If that doesn’t answer your question, please reach out to support@poshmark.com and someone can help you directly. Do they deliver packages on Saturdays? I know some company’s don’t. I just want to know if it will be tomorrow or Monday when I get my items. Hi Wmriley, All Poshmark orders are shipped via USPS Priority Mail. It should take 2 or 3 days once shipped. Tracking information is also available within the app. Can I use a padded manilla envelope or does it have to be a box? I made my first sale and now I’m really sure on how to do the shipping part. I got a email with a prepaid mailing label so do I just cut that out and glue it to the box or am I suppose to receive an actual mailing label sticker? Hi Mekiya, Congrats on the sale! Yes, you’ll need to securely package the item, print and cut out the label, and securely tape it to the box. 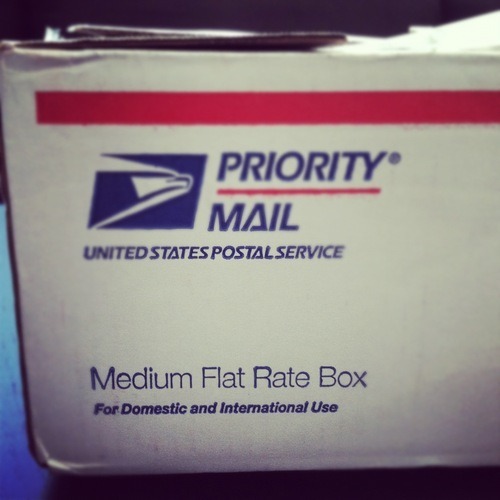 If you’re using a box from the USPS, please make sure it’s Priority Mail – not Priority Mail Flat Rate. For more, see the Posh Guide: http://www.poshmark.com/posh_guide or reach out to support@poshmark.com. When taping the address label for the shipment, does the tape have to be clear or can I use a blue duct tape? Hi Liz, please use clear packaging tape and cover the entirety of the label so that it won’t be damaged in shipment. What happens if I accidently use the wrong box? Hi Danielle, please reach out to support@poshmark.com if you think there may be an issue with the shipment. This is the first time I gonna send a package so I have doubts. I am going to send is a box 9-1/2″×12-1/2″. Do you think this type of boxes fit in those blue USPS mail box? Or I need to go to the post office? And also it does matter if the label has a diferent date than the day I’m shipping? Hi Doris, It may be best to be safe and try the Post Office. No, it doesn’t matter if the date is different on the label than the shipping date, but please try to ship as quickly as possible. Hi Christina, the shipping label should be attached to the email. If you need more help, please reach out to support@poshmark.com. can i put the delivery in the blue box does it ‘have’ to be taken to the usps office? Hi Angie, you can can definitely place your package in a USPS Blue Box. I’m at the post office now and they won’t take my packages bc the date on the shipping label is the date the items were sold which was yesterday and the day before and not today. I told them there was no way I could change this myself. They told me that my only other option was to pay for shipping. What do I do? Hi Kristi, please reach out to support@poshmark.com and someone can help you directly. Hi Nanda, You can find the Add to Bundle button near Like, Comment and Share buttons. You can also access it on the app when you are on a listing, click the upper right hand action icon and select Add to Bundle. I’mean new to this. I didn’t read directions clearly. I shipped my package through UPS instead of the postal service so will that be an error in my delivery and also will there be a problem with me getting paid? Hi Tekesha, please reach out to support@poshmark.com and someone can help you directly.